"@makaumutua: Chinese restaurant in Nairobi won't admit Africans after 7 pm.It must be closed down. Period. http://t.co/1IZ5OyGJja" L. O. L.
However, some Africans considered“loyal”can still come in. You have to spend 20,000 Kenyan shilling (about $217) in a certain time period to qualify. 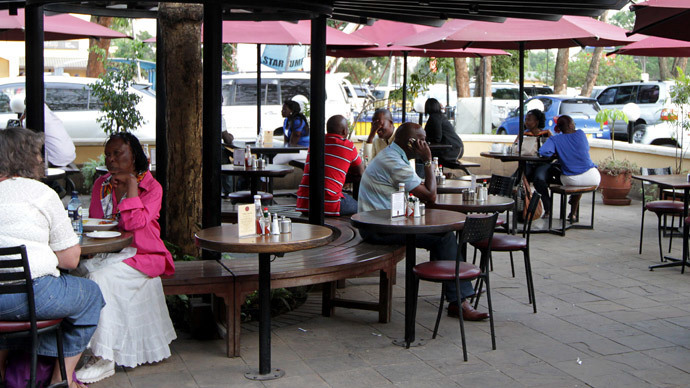 The only people allowed in any time are Nairobi Senator Mike Sonko and former Cabinet Minister Raphael Tuju, who are reportedly the owner’s friends. Al-Shabaab, translated as the "The Youth," is an Al-Qaeda-linked extremist group designated as a foreign terrorist organization by the US. Its basic goal is to create a caliphate in Somalia. Al-Shabaab's terrorist activities most notably included coordinated suicide bombings in Uganda's capital in 2010 and a deadly raid on a Nairobi mall in 2013.